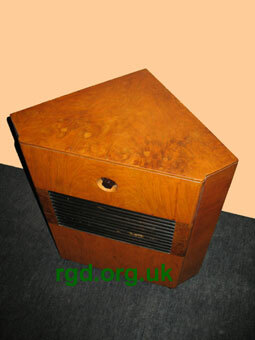 Triangular footprint loudspeaker designed for use in corner. Integral volume control. 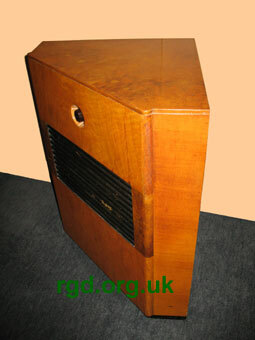 Loudspeaker utilises a complex set of labyrinth multiple baffles and 12" speaker.